Hiya! Hope everyone had a great weekend. As we all know, the fashion month marathon started last week and now has a heavy foot on the gas pedal. Don't think for a second that I would fail to report for you! I am the first person to understand that keeping up with all the shows can be an overwhelming project that can swallow you whole before you can say Altuzarra, so, fret not, I got you. 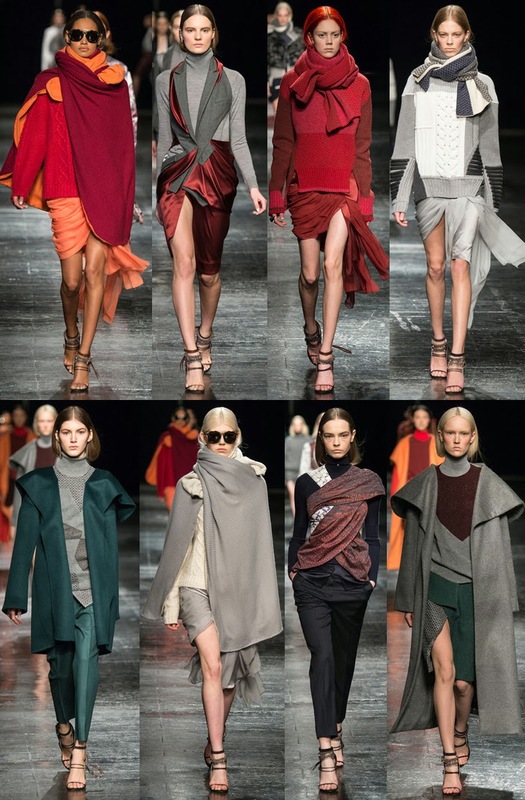 The fall collections are always my favorite for a multitude of reasons: the complexity of the garments, the luxe materials, the piling of the layers, the added depth to pretty much everything you see strutting down the catwalk from head to toe . New York fashion week started on Thursday, therefore I am a bit behind in my recaps, but I'll catch you up in no time, promise. Now let's start! Can you say exquisite? I mean, he set the bar so high for himself with his ss14 collection and this was yet another home run -- luxurious, elegant, colorful (! ), feminine (as always) and sure to work for both the downtown girl and the lady who lunches. It felt like he wanted to add pizzaz to office wear with pops of strategically placed neon integrated in dresses made from grey suit-like fabric, while also exploiting artisanship in stunning embroidered tops and dresses. One more word: Outerwear, outerwear, outerwear (sorry, that's three words)! Start belting your coats, ladies. One of my favorite things about the Helmut label is the knitwear and the way they can make simple pieces look so damn cool. They're consistent like that, over at Helmut. Their streamlined, sharp silhouettes speak to me and the way some of the looks came out layered but not weighed down was enough to keep my membership active at the Helmut Lang house of worship. Jason Wu, you saucy minx, you. Your woman was so luxe, sensuous and, dare I say, sensual, she was truly irresistible. Adding a fluidity we had yet to see from the baby-faced Wu, this collection was mysterious and feminine to the core and you couldn't help but want to be that woman, if only for one night. The first thing I need to discuss about the Prabal collection is the footwear: in spite of them being completely unreasonable for fall/winter, the sandals were i n c r e d i b l e. I need a pair in ways I can't even express. Now that that's out of the way, let's move onto the clothes! The layering, the flow and the proportions were so pleasant to look at. While he's know for his funky juxtapositions and embellishments (hello, Zoe Saldana at the Golden Globes), what he offered this season had a nearly ethnic feel thanks to the deep jewel colors and sari-like wrapping, however telegraphing a sharp city feel. 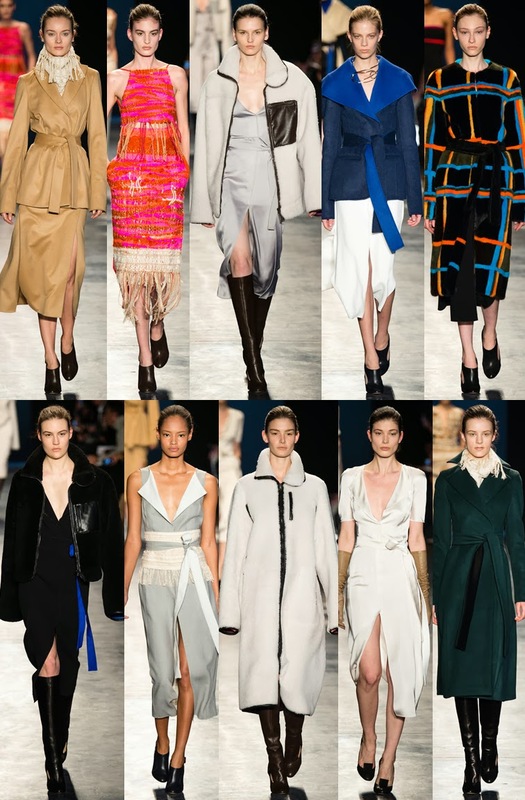 My favorite Prabal collection so far and by far. 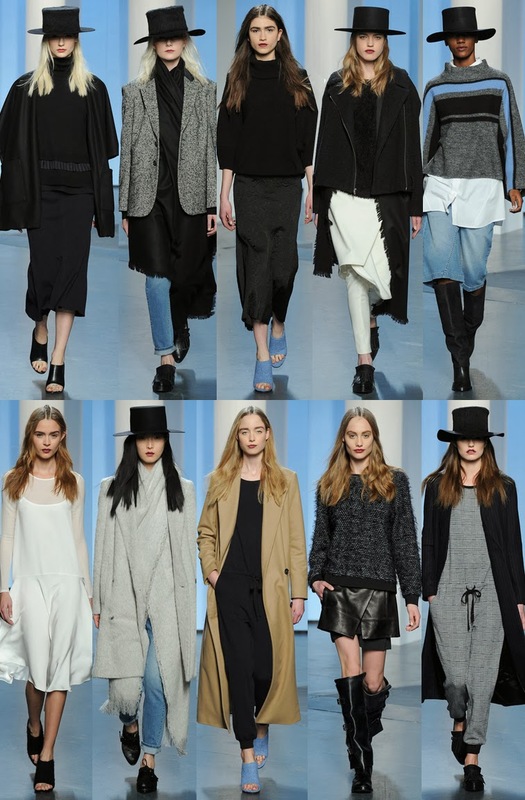 I'm going to be frank with you: Rag & Bone collections always ignite me more in the store than on the runway. Their catwalk styling is never really my favorite, I always somehow feel like they try too hard to make things look cool, with too many ideas that end up looking messy. That said, I'm sure that when I walk into a Rag & Bone boutique come fall, I'm going to want to leave with one of their pinstripe pieces and wrap myself in one of their checked coats. I have to say that their proportion play with layering felt very fresh and very now. Tibi, Tibi, Tibi. You are tugging at my heartstrings in a way that has me almost losing my balance. It was simple but complex - clean and easy-going, with layering feeling very directional. It was just everything I want to wear and the color palette of neutrals had me gasping for air. Maybe this isn't the type of label that will revolutionize fashion à la Chanel, but I don't care- Amy designs clothes that girls want to wear and that they can actually afford. Talk about effortless chic. I, for one, will definitely be buying into her cocooned vision of a girl. Got any thoughts?! Tell me below! 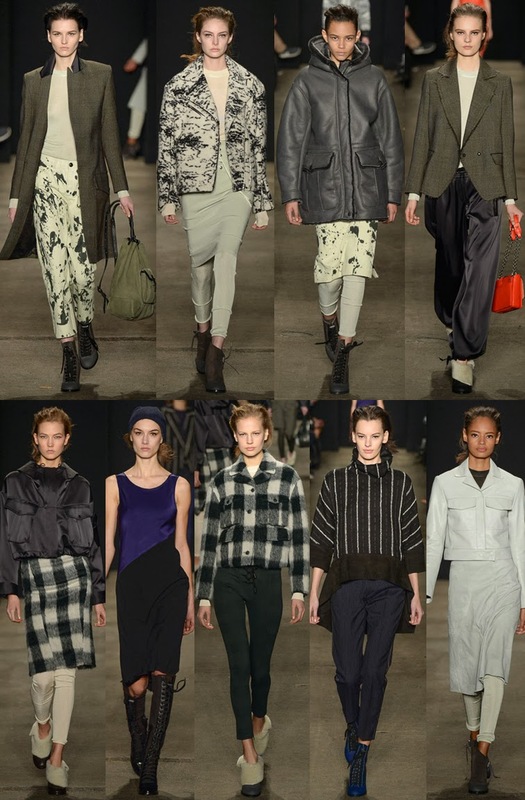 Thanks for showcasing these, loving Jason Wu and Prabal Gurung. i love those fuzzy turtlenecks! Great way to start off your NYFW recap! You definitely touched on some key designers we always anticipate for every season. Tibi... argh I just want everything! Obsessed with the collection!